One of my favorite restaurants is Outback Steakhouse. 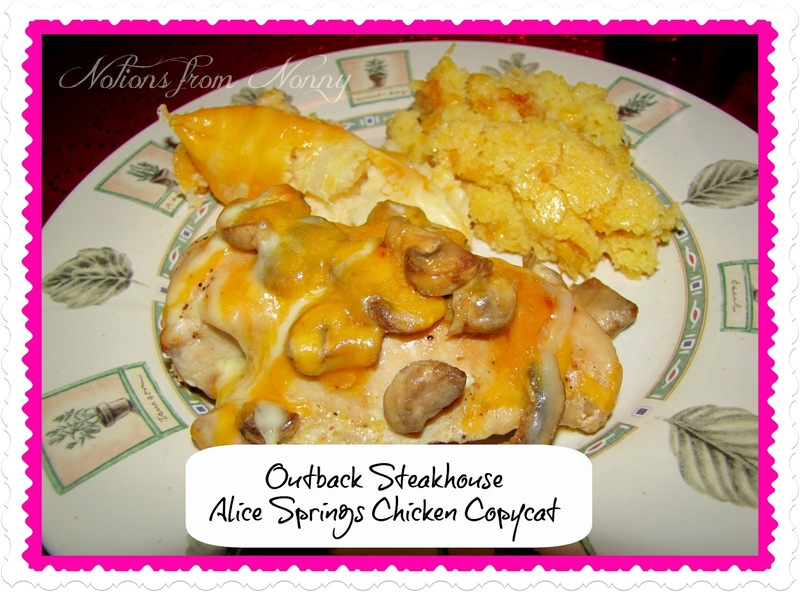 When I get the chance to eat there, I love their Alice Springs Chicken! It is so scrumptious! 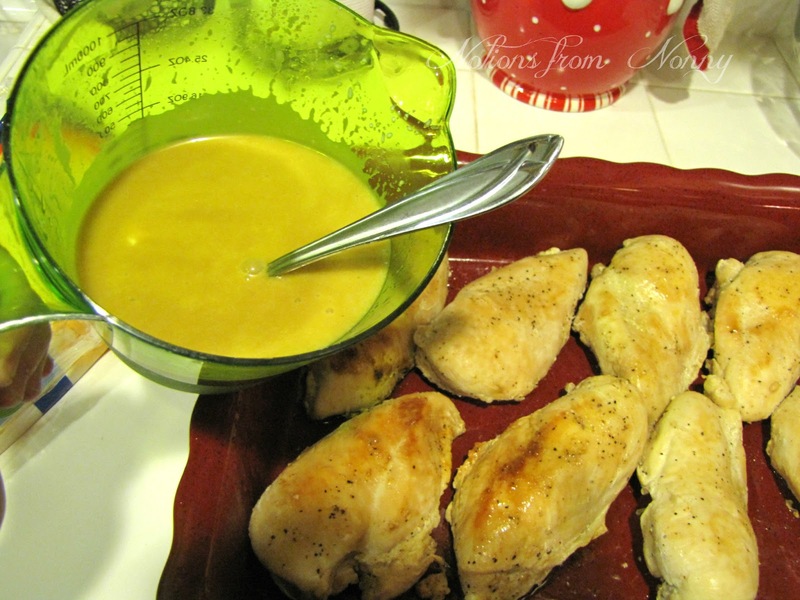 Eating out is an expense we don't need, so I created a copy cat recipe, that is just as good. 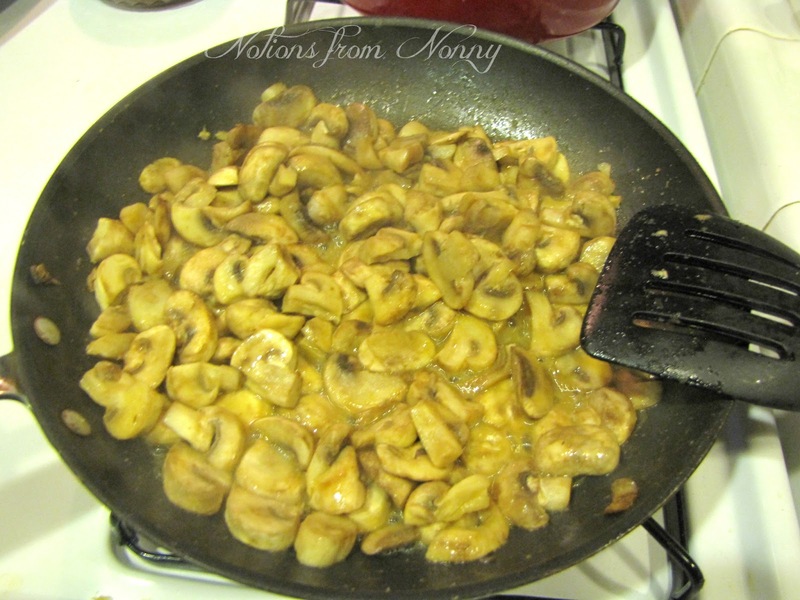 Saute your mushrooms in butter. I also season my mushrooms with onion power, garlic, salt, and pepper. 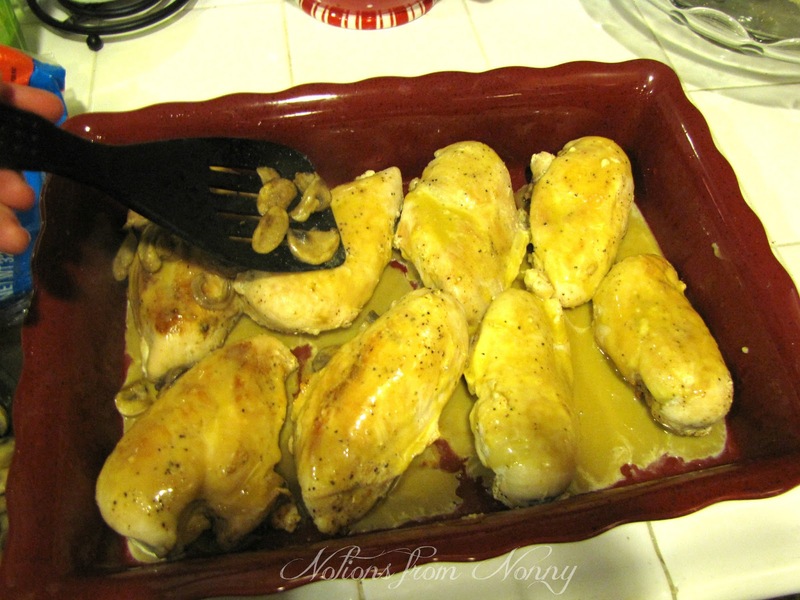 Next, take the honey mustard dressing and put on the chicken breast. 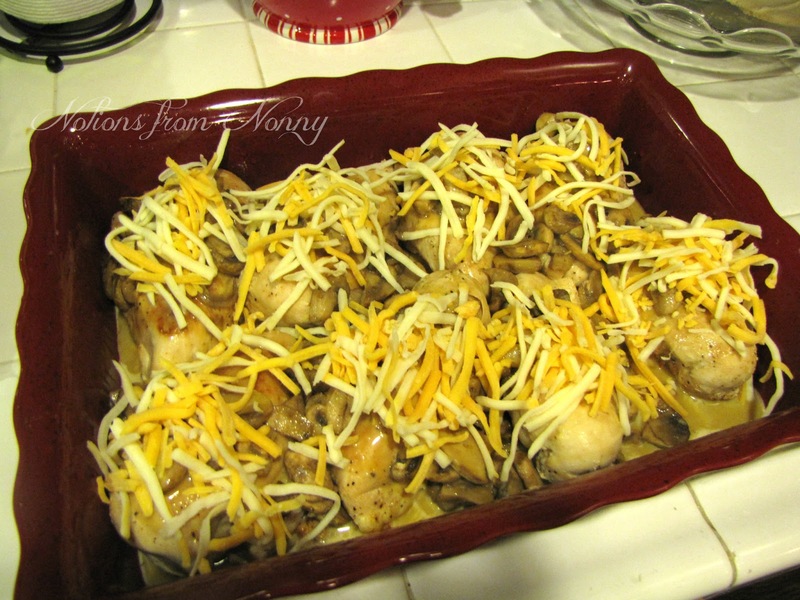 Last, you put shredded cheese on top of the chicken. 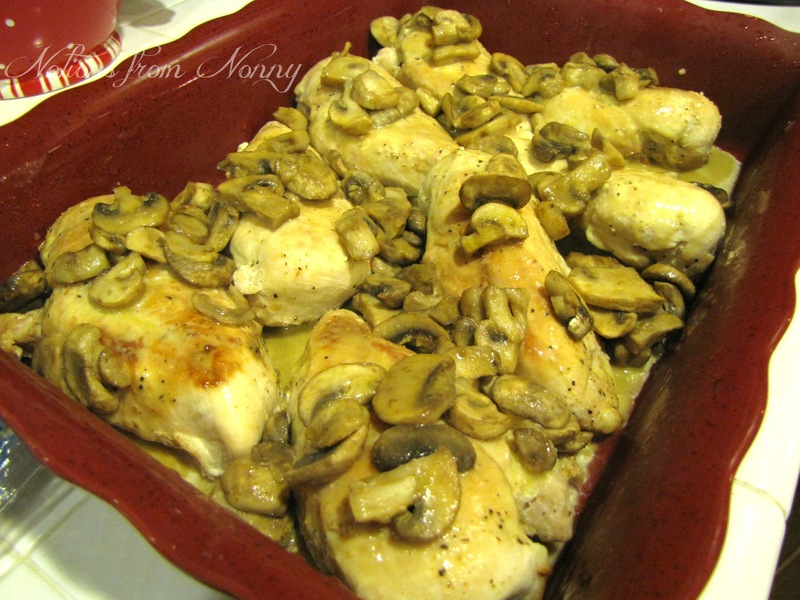 David loves Alice Springs Chicken, so I'll be making this. Thanks. That looks wonderful! I love mushrooms, and cheese! I'll have to squeeze this one in before lent starts! 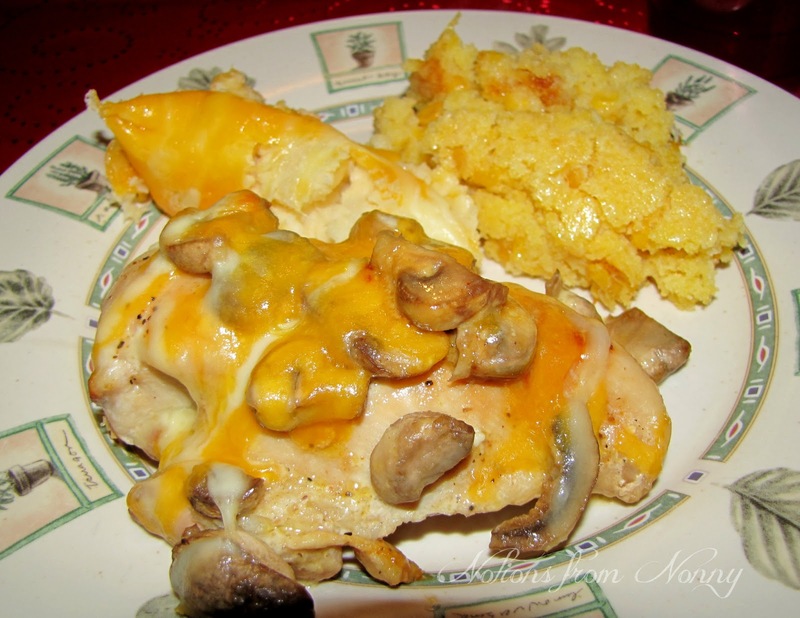 Alice Springs Chicken is my husband's favorite off of the Outback menu. I think we might give this one a go, sans mushrooms (he picks those out anyway). 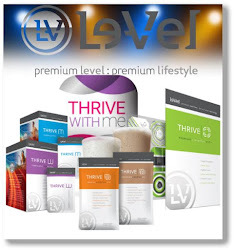 ;) Thanks for the great share. Hi Nonny! Thanks so much for stopping by my blog. I appreciate your comments on my pillow! Your recipe looks great! I love mushrooms. This looks yummy! I'm coming over for dinner! lol Thanks for sharing at Submarine Sunday! 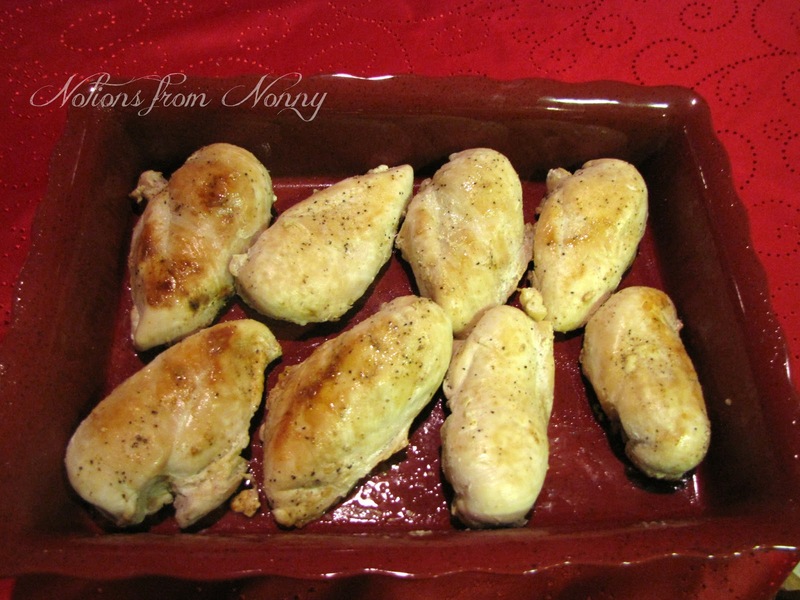 :o) I would be honored to cook for your family any time! !